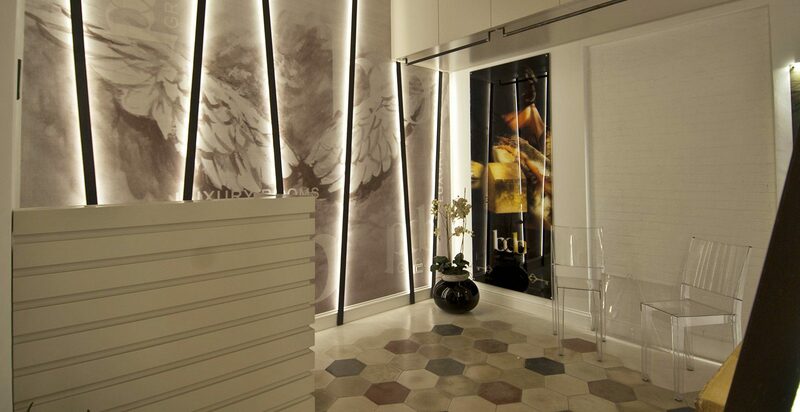 BDB Luxury Rooms Navona Angeli is a refined and luxurious guesthouse located in the heart of the center of Rome. 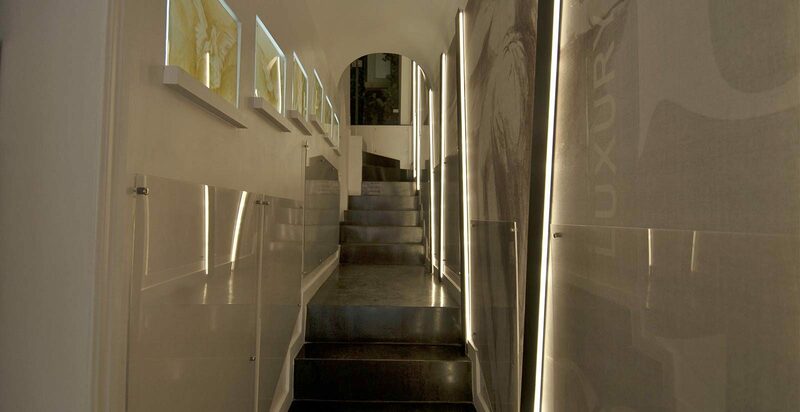 We are within walking distance of the major sights of the Eternal City. 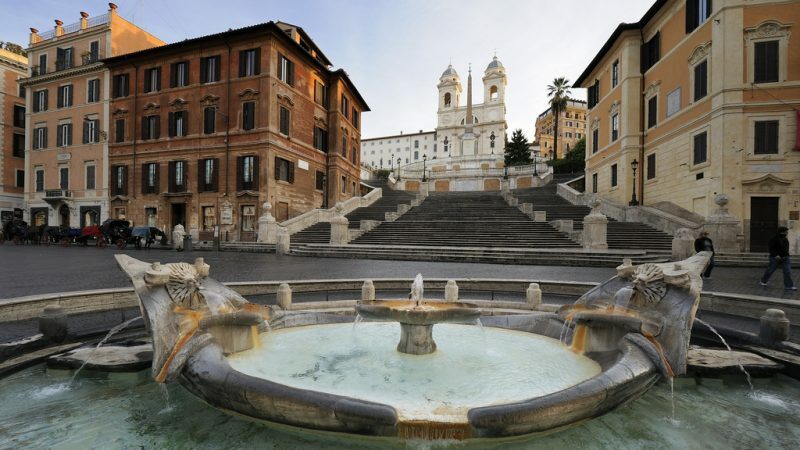 This area of Rome is, without a doubt, an excellent starting point to reach on foot every part of the city center. 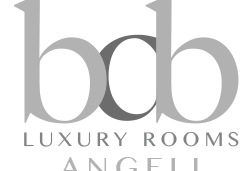 BDB Luxury Rooms Navona Angeli is an ancient building, but recently renovated (2017) with a modern style and design. 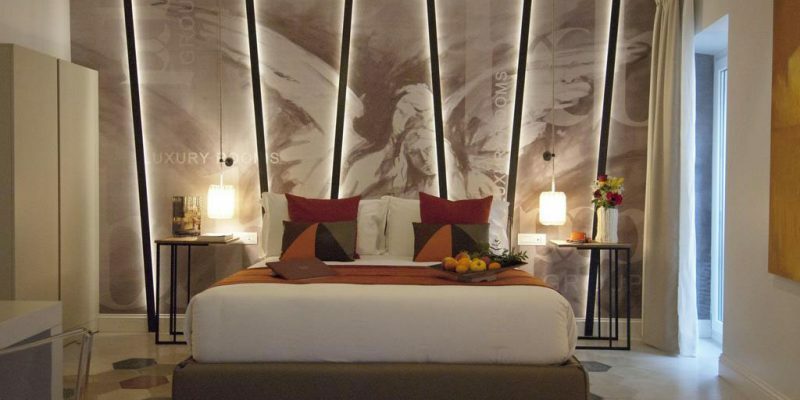 The guesthouse was thought-out to enchant its guests by masterfully combining the baroque style of the local context with the elegance and functionality necessary for an pleasant stay. The best way to enjoy Rome is to stroll through its fabulous and picturesque streets of the center, and get carried away by the atmosphere of the Dolce Vita Capitolina. We are in the true heart of the city. From here, you can reach all those places that make Rome so famous. 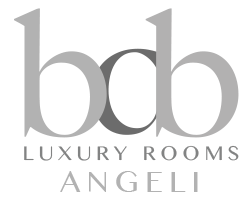 The BDB Luxury Rooms Navona Angeli building is 3 minutes away from Piazza Navona and Campo de Fiori , as well as a few minutes from Piazza delle Coppelle. The "Coppelle" is a very famous district in the area full of restaurants and clubs (some of these of extremely high quality). 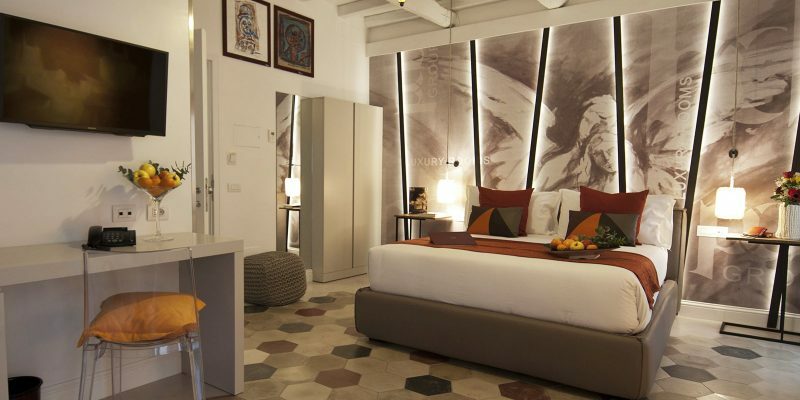 With a 7-10-minute walk you can reach the Pantheon and Castel Sant'Angelo as well as other gems of the city center. 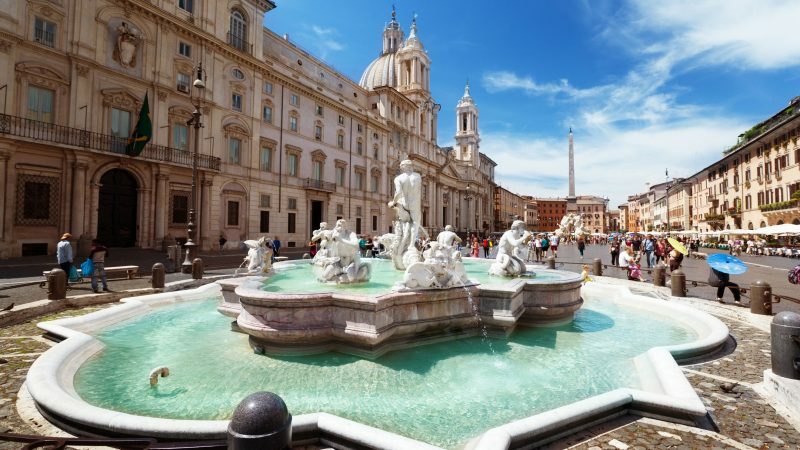 Other nearby points of interest are the Chiostro del Bramante , the Palazzo Altemps , the Palazzo Braschi (Museum of Rome) in Piazza Navona, in addition to the numerous churches and sacred places that can be seen in every corner of the area. 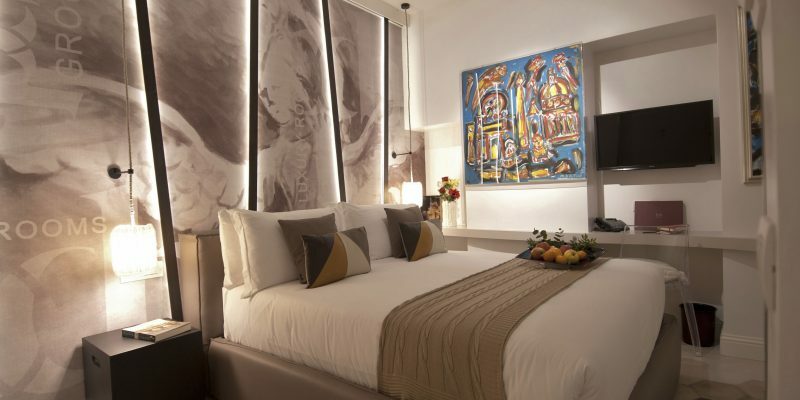 The Family Room is ideal for a family of 4 thanks to the two double beds. 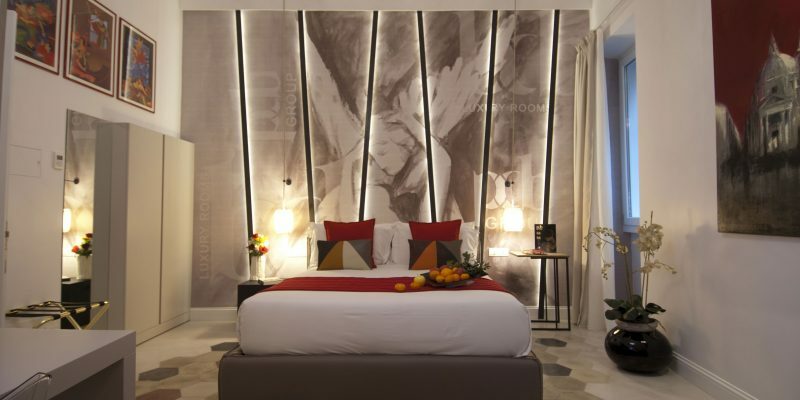 The Standard Double Room is perfect for couples who love the idea of staying a few steps from the main attractions of the Eternal City in an elegant and refined style. 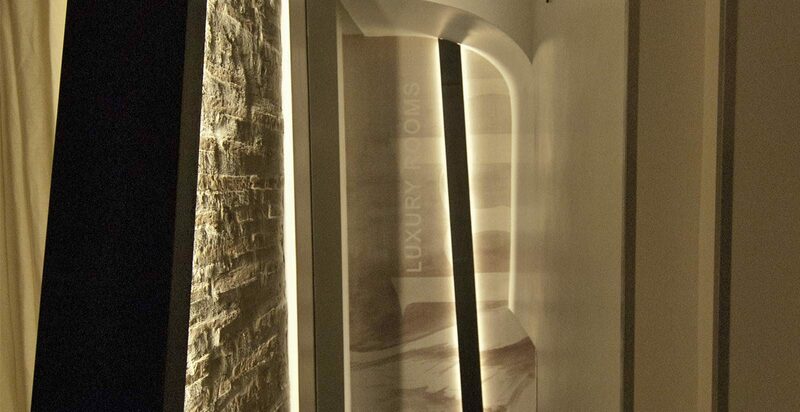 The Sky Suite is located on the top floor of the structure and is the only room to have a terrace equipped between the roofs of Rome with a curtain with electronic closure a few steps from the main attractions of the city. Take the Leonardo express to Roma Termini station with departures every 15-30 minutes (depending on the day and/or time). Time: 32 minutes (2 stops). From the front entrance of Termini station head towards Via Giovanni Giolitti and find the Termini (MA-MB-FS) bus stop of bus number 70 (Clodio). Time: 2 minutes (50 meters). Take bus number 70 (Clodio) for 10 stops. Get off at the Senato stop. Time: 15 minutes (10 stops). Proceed on foot towards Via della Vetrina, 5. Time: 3 minutes (200 meters).